Enrollment Application download etc. 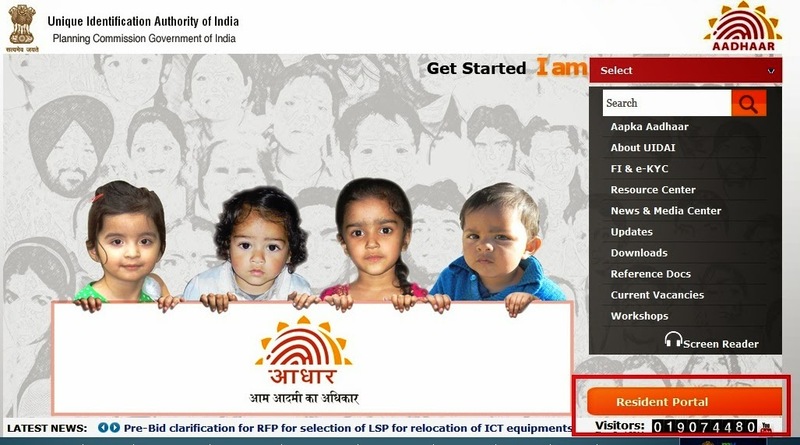 If you lost Aadhar acknowledgement slip Follow below instructions for get Aadhaar Number / Enrollment number. Than Click on "Resident Portal"
2. 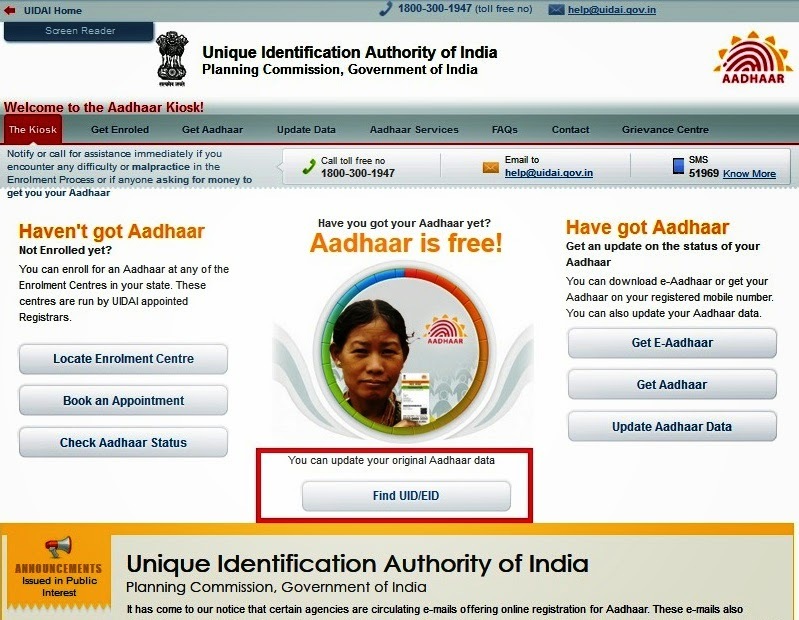 Click on "Find UID/EID" as shown in below Screen shot. 5. Enter the "OTP" and then chick on "Verify OTP"
6. 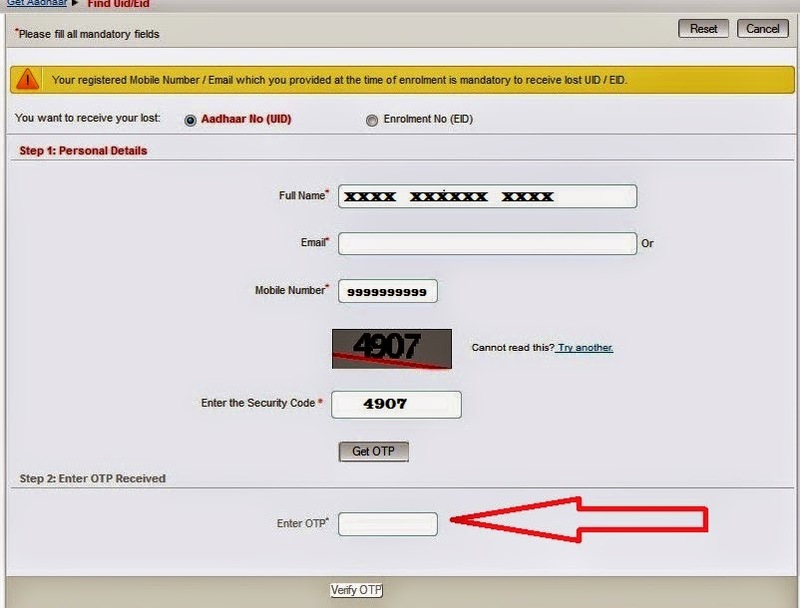 After Successfully verifying the OTP Pin , Aadhaar Number or Enrolment Number will be sent to your Mobile Number. Note : The Name and Mobile Number should be enter as provided at the time of enrolment otherwise details will not be displayed.